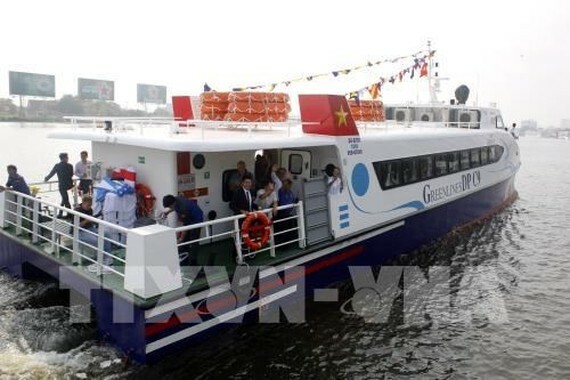 High-speed boats on the Ho Chi Minh City-Can Gio-Vung Tau route were put into operation on February 10. At the inaugural ceremony, Director of the municipal Department of Transport Bui Xuan Cuong, highlighted that the service will serve travel demands of local people, encourage tourism development and ease pressure on roads, which are becoming increasingly crowded. 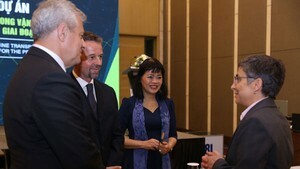 In the coming time, the city will develop more waterway routes, linking Ho Chi Minh City with neighbouring Ba Ria-Vung Tau province and even localities in the Mekong Delta region, he added. The high-speed boat service, operated by Greenlines DP Technology Co.,Ltd, offers four daily trips from Bach Dang wharf in District 1 to Tac Xuat wharf in the coastal district of Can Gio and eight others from Can Gio to Vung Tau city. It takes two hours to finish the 85km route. The ticket is priced at VND 200,000 (US$ 8.8) for the Bach Dang-Tac Xuat trip. Officials and residents in Can Gio district, children aging 6-11 and the elderly from 62 years old will pay half of the price. Meanwhile, free tickets will be provided for heroic mothers, wounded soldiers, people with disabilities and children under six years old. Tickets for Tac Xuat-Ho May (Vung Tau city) are sold at VND 100,000 (US$ 4.4) each. Each high-speed boat is equipped with air-conditioner, televisions, wifi and life-jackets.